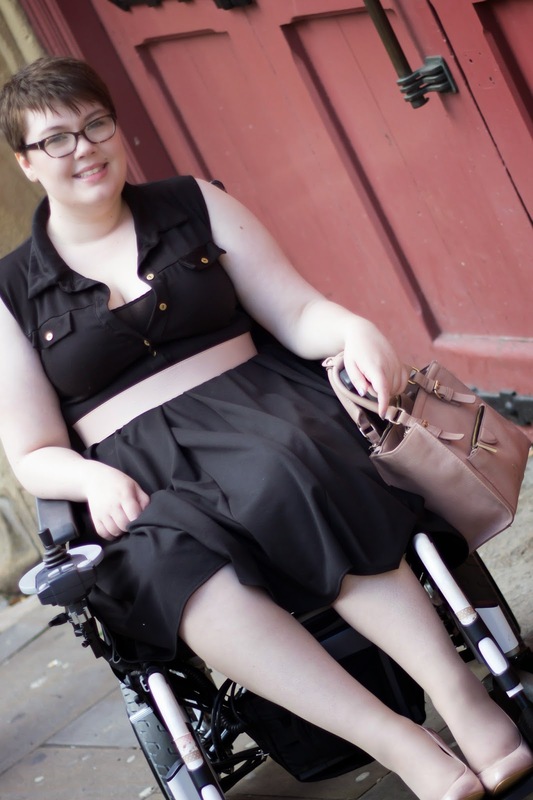 Today's ootd post is coming to you with a side of activism. That sounds really Sesame Street (at least to me) but you know what I mean. The 8th of August is Severe M.E. day. Severe M.E. is very misunderstood for a number of reasons. Severe M.E. sufferers are often incredibly isolated, house-bound or bed-bound, & unable to communicate with the outside world, often for many years at a time. They are so incredibly ill, for such a long time, that it is very hard to imagine....even for doctors. I sit right on the edge of Severe M.E. & when I'm at my worst I get glimpses into what it is like to have Severe M.E. so I will try to explain but if you want to know more I will link a couple of posts & blogs at the end that will give you more of an insight. Okay first off imagine you have really horrendous flu or maybe a really bad hangover. You hurt everywhere, any light burns & any sound makes your entire body hurt. You can feel your family walking past your room & the vibrations from it hurt. The thought of eating or even drinking makes you gag but you are so exhausted you need the energy. Everything is unbelievably heavy & when you finally pull together the energy to go to the loo you struggle not to collapse & sit there huffing & puffing, the effort of sitting making your head swim & your brain turn to mush. You know that you're supposed to go back to your room but you don't really remember how. Someone helps you back & everywhere their body touches yours is in pain but you need the support. You try taking the pain meds your doctor has given you but they do nothing but make you feel even more nauseous. Maybe you start to feel a little better, you're really bored by now, you try to look at your phone. Even on the lowest brightness setting it's too bright but you think you can manage it. About 30 seconds in it starts to feel too heavy, about a minute after that looking at the screen is making you feel sick & you're struggling to read. You drop the phone & close your eyes, back to feeling beyond awful but you're still bored out of your mind. You try to sleep but nothing is happening. When you do drop off the dreams are so vivid & confusing that you wake up more exhausted than you were before but now you feel like someone's watching you & you know it's something to do with the dream. A car drives past your house blasting music & the shock makes your arms start to flail randomly. Already exhausted & in pain the flailing is the last thing you need but you can't control it. Lactic acid starts to build up in your arms & by the time they stop moving it feels like your back, arms & neck are on fire. Moving, even to get a drink, seems to be impossible & slowly you start to drift of into a proper sleep. 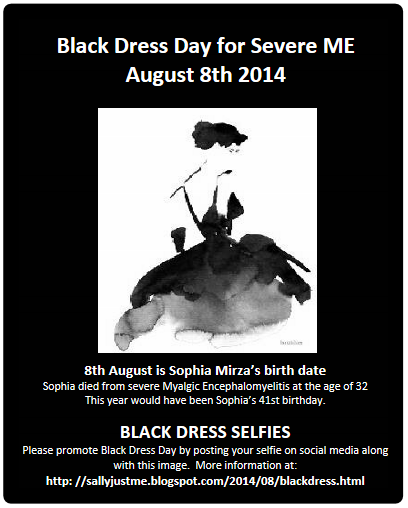 What do Black Dresses have to do with Severe M.E.? M.E. are very rarely able to do the usual kinds of awareness activities (fun runs, bake sales....leaving their homes &/or rooms) & so awareness campaigns like this one & Blue Sunday are especially good. I mean it helped you guys understand Severe M.E. a little bit better, right? A rainbow at night: Kit is living with late stage Lyme disease & really nasty M.E. In her 'about me' she classes her self as mostly-housebound (which is what I'd call myself) but she's had a dip recently & is probably closer to totally housebound at the moment. Kit's posts don't pull any punches & really explain the problems with the condition & the lack of any real support. Documenting M.E. : Brooke has had M.E. for 12 years & is currently in the end stages & literally being killed by her M.E. 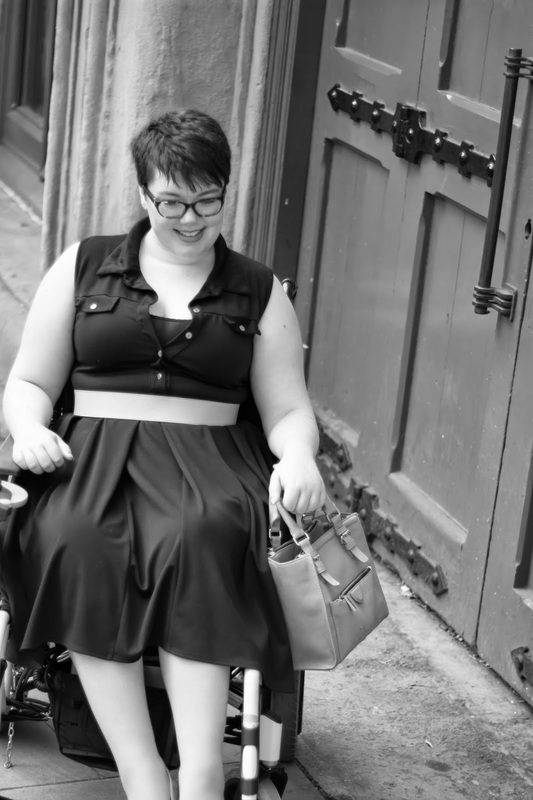 She has been blogging over the past 8 months to document the end stages in an attempt to help others. Her M.E. is very similar to the kind I have, in that it is degenerative rather than the more usual pattern of dips, plateaus & periods of 'remission'. Dannilion: Danni is a severe M.E. sufferer with Autism who lives in the North East of England. She writes about her life with the M.E. & Autism, the problems she has getting the care she needs & generally what is going on with her. Hummingbird's Foundation for M.E. : I actually can't cope with reading this, too much information too densely packed, but my Mum has read ALL of it & says it is REALLY helpful for understanding M.E. Me, Michael & M.E. : Laura is an amazing person & runs a brilliant blog along with her fiancé. She is bedridden & talks very honestly about her day to day life, how the M.E. affects her etc. M.E. myself and I: Anna is the inventor of the Blue Sunday tea party to raise money for M.E. charities & to raise awareness for M.E. causes. Anna has been a severe M.E. sufferer for many years & has recently gotten a boyfriend & written some very interesting posts about dating with M.E. 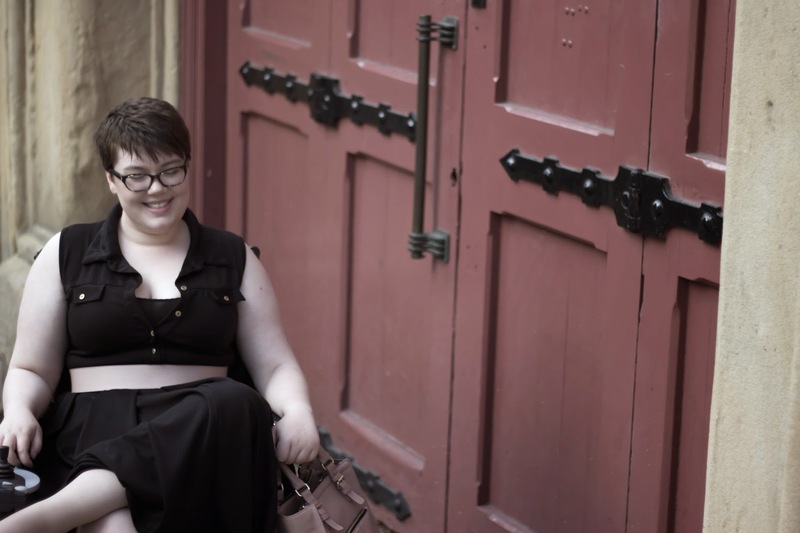 must read - Are We the Real Undateables? & Life as a young person with M.E. If we lived even remotely near each other, I'd have you take me shopping, because your style is impeccable. More importantly, glad you're working to increase awareness and acceptance! PHENOMENAL POST!!! TY! I have shared this on my own blog. I honestly don't know if I can go to the good links you listed - I'm having an emotional and physical dip right now - but I will certainly come back to them! BLESS YOU FOR THIS POST!! !